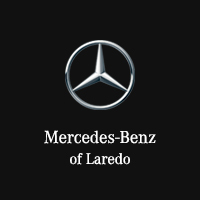 No one knows how to care for your Mercedes-Benz better than the experts at your center. Certified Service mechanics and technicians know your vehicle inside and out. When it comes to parts, including tires, your center understands that the right components provide superb performance and handling for the highest quality standards. Trust them to have the right tires when you need them. Help ensure a safe, comfortable ride with a set of Mercedes-Benz-recommended tires. Whether you drive a Convertible, Roadster, Hatch/Hardtop or any other Mercedes-Benz model, your tires were selected to provide superior performance and comfort. Mercedes-Benz performs extensive evaluations to determine which tires are best suited for each vehicle. Whether your car requires Continental, Bridgestone, Pirelli or another tire brand, you can trust that the Mercedes-Benz Tire Center includes the approved, recommended brands to deliver the best driving experience. Mercedes-Benz Tire Centers provides tire options in all approved sizes to meet most customers’ brand preferences. Competitively priced tires are selected to provide an exceptional driving experience with characteristics including superior handling for wet or dry traction, stability, tread life, acoustics, comfort and rolling resistance, which impacts fuel economy. These considerations, as well as load and speed ratings, determine which brands and tire types are approved for use on your vehicle.